2 Face collection. Simple basic face. Face1 background, day number, analogue time. 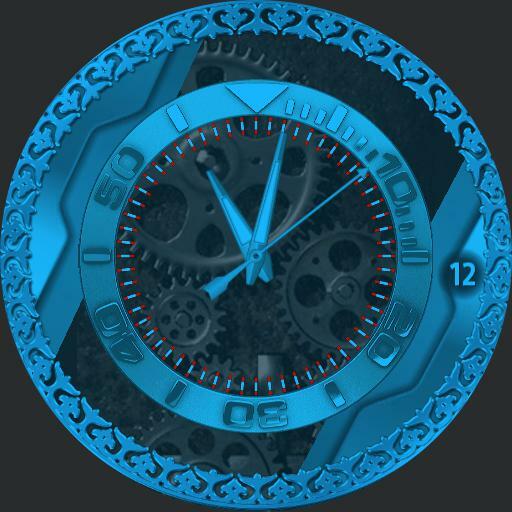 digital time and date, power levels for watch and cell, weather icon and low and high temperature levels. Face 2, analogue time, working gear animation. Tap actions, mid left next ucolor, mid right previous ucolor, centre to swap between Faces.